Home › Faculty Directory › Graff, Sharon C., M.A., M.F.T. Sharon C. Graff, M.A., M.F.T. Counseling psychology, developmental psychology, working with at-risk youth, effective parenting, adolescent-based interventions, and developmental change. 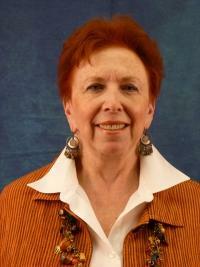 Ms. Sharon Graff is an adjunct professor in the Masters programs at Palo Alto University. She received her Bachelor of Arts from the University of California at Berkeley and her Master of Arts from the University of San Francisco, and is currently a Licensed Marriage and Family Therapist (L.M.F.T.). She counseled at the Bill Wilson Center Outpatient Clinic in Santa Clara and worked with a wide variety of clientele including children, adults, and families. She has experience treating clients with depression, anxiety, interpersonal relationship challenges, developmental problems, and existential issues. She has worked as a Family Therapist and Case Manager in the Homeless and Runaway Shelter at the Bill Wilson Center, where she worked with adolescents and their families. She loved working with teens, whom she found to be more malleable than adults. She developed expertise in working with youth aged 11 to 17, as well as their families, to effect reunification. She taught the Clinic’s Parenting classes, utilizing the Systematic Parenting for Effective Parenting, which is an Adlerian approach. Since 2008 she has taught in two Universities in their Graduate Psychology MFT programs teaching Counseling Theory, Developmental Psychology, Counseling Skills, the Exit Project, Crisis Intervention, and the Aging Workshop. Since 2012 she has been teaching at Palo Alto University in the Masters of Counseling Program. She teaches Counseling Theory, Clinical Advancement, Practicum, and the Capstone courses, which she finds personally rewarding.